Hilton Head Magazines: CH2/CB2: Time for Summer Camp! A number of all-day summer camps are available this year. Camp Lowcountry Day is offering an all-day camp 7:00a.m.-6:30 p.m. for rising K-third graders. The price is $145 a week and includes field trips, hot lunch and two snacks. This year’s theme is Submerged, which is a Bible School theme. 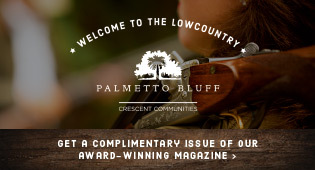 For more info, log onto www.lowcountryday.com. Hilton Head Christian Academy’s ACE Summer Day Camp has two sessions: June 6-July 1 and July 11-August 5. The camp is 8:00 a.m.-5:30 p.m. for children who have completed grades K-five. Full, half, weekly and daily options are available, with discounts for pre-payment. For more info, log onto www.hhca.org. Island Rec has an all-day camp for K-eighth graders, with 10 themed weeks including Wet & Wild, Pirate Camp, Blast off into Summer and Sports Week, May 30-August 12. Discounts are given for additional children with daily, weekly and drop-in rates ranging from $33 per day to $165 per week. The Arts Center of Coastal Carolina offers four different summer camps available from June 13-July 29, including Take the Stage! Performing Arts Camp for ages 5-12, Mixed-up Masterpieces Visual Arts Camp for ages five-12, Kids ’N’ Clay Camp for ages 7-12, and Theatre Camp for ages 9-14, ranging in price from $110 to $180. Hilton Head Christian Academy is offering Peace, Love and ART Camp for rising 1-6 graders and a Jazz Clinic for ages 10-14, all at varying times and dates with prices ranging from $100 to $149 per camp. Discounts are given when attending multiple camps. For the horse lover in your family, Moss Creek Equestrian Center is offering a summer program entitled “Horsin’ Around Days,” available in weekly sessions, June 13-August 3, on Monday, Wednesday and Friday from 8:30 a.m.-12:30 p.m., for children ages 5-12. The camp combines fun horse-related activities including arts, crafts and games, with hands-on lessons, engaging children in the exciting world of horses and horsemanship. The cost is $95/day or $270/session. The Bluffton School of Dance is offering several dance programs for a wide variety of ages this summer. 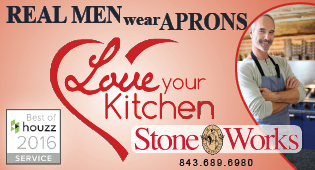 See their ad on page 88 for a comprehensive listing. Move and Motion offers weekly camps for ages 3-15, with family discounts and Performance Co. discounts. Full and half days are available. For more information, go to www.moveandmotion.com. May River Montessori is offering one week of camp for ages 4-7 this year. “Art Smart, A study of the Masters” with painting projects, will run from July 18- 22. The camp is from 9 a.m.-2 p.m. and costs $160 per week. available for siblings with half days costing $155 per week and full days costing $195 per week. 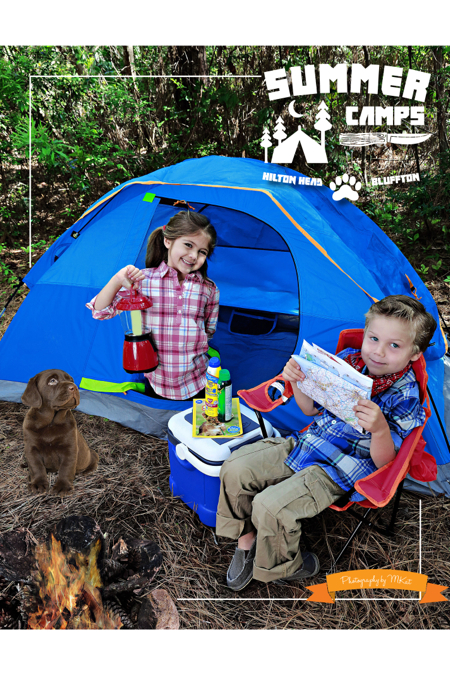 Outside Hilton Head has some amazing outdoor camps available, offered for various ages; most are for ages seven and up, with prices varying from $45 to $125, from mid-June to mid-August. An adventure day camp called Coastal Carolina Camp offers activities such as kayaking, crabbing, water trampoline, beach combing and more. Kids Water Fun Day offers kayaking, swimming, water games and more. Offerings for teens include Stand-up Adventures with stand-up paddleboards, Teen Tube Night and Adventure Island, which is a four-and-a-half-hour boat and adventure day at Page Island with tubing, fishing, crabbing and kayaking. The Westin Resort & Spa Hilton Head Island offers a variety of camps including Carolina Beach Bash, Craft & Creation Adventures, Eco Discovery Days and Night Time Adventure. Half day and full day kids camps are offered. Hilton Head Christian Academy is offering Fundamentals & Fun Basketball Camp May 31-June 3, 9 a.m.-12 p.m.; Soccer Camp June 13-16; as well as tennis and volleyball offerings, all for rising second-ninth grade boys and girls for $110. Island Art Camp is an active, involved program where your child will learn about and appreciate art. The program also includes games, snack, outdoor recreation, and much more. Campers will experience in-depth art projects using a variety of media. Two age groups: 4-6 and 7-10. Weeks available: June 6-10; June 13-17; June 20-24; June 27-July 1; July 4-8; July 11-15; July 18-22 Hours: 9 a.m-12 p.m. Cost: $125/week (includes materials/snacks) Sibling and full course discounts available. Island Art Camp is located on the north end of Hilton Head Island at Island Lutheran Church, 4400 Main Street. For more information and registration forms, visit facebook.com/IslandArtCamp, call (843) 342-2500 or e-mail: islandartcamp@yahoo.com. HHCA’s summer camps are open to the community for children who have completed K-fifth grade, with weekly and daily options available. All camp counselors are HHCA graduates who are now earning degrees in elementary education. All camp assistants are select HHCA high schoolers. Your child will be in a loving Christian environment, filled with the perfect balance of biblical lessons and exciting activities on and off campus. For more information, visit hhca.org/important-links/181-summer-camp-information.html. The Hilton Head Island Junior Golfers Association is joining forces with PGA Junior League Golf for a new junior summer golf experience. The program will still offer Monday & Tuesday stroke play tournaments for juniors ages 7-18 with the addition of team events through PGA-JLG. PGA-JLG is for juniors ages 7-13 and is designed to better socialize the game by creating a “little league” approach to golf, with a team scramble match play format. Registration continues online at hhijga.com through May 23. For more information, contact hhijga director, Frank O’Sullivan at (843) 785-7198 or hhij1979@gmail.com. A summer of fun at Hilton Head Preparatory School’s Discovery Dayz Summer Camp, includes sports & fitness, art & music and other fun educational camps. Prep offers weeklong camps, both full and half-day, May 31-July 29. They welcome friends, neighbors and visitors, ages 4-18. Early registration is encouraged as camp sizes are limited. Find out about all of HH Prep’s summer camp offerings at HHPrep.org. For further information, please call Liz Nash at (843) 715-8522 or e-mail her at Lnash@HHPrep.org. Tuition is required along with registration form to reserve a space in summer camps. Swing into junior tennis camps this summer and discover the fun at the Tennis Club of the Low Country. Programs are designed for players of all levels, ages 5-16. Voted Tennis Industry Club of the Year in 2013, the club features specially sized courts, based on your child’s age and ability, to ensure immediate success. Tournament level players experience more competitive play to improve their level and game. Camps begin the week of June 6 and continue through the week of August 12. Players can register for as few or as many weeks as convenient. Call (843) 271-6401 for information or to register. For details go to www.coastaldiscovery.org or call (843) 689-6767 ext. 223. The Museum is located at 70 Honey Horn Drive on Hilton Head Island. Summers at SPMA provide campers from 18 months to fifth grade with a safe, nurturing environment that ties the Montessori philosophy of exploration, creativity, and independence with traditional summer camp fun. There is something for everyone! With themes from cooking, science, engineering, dinosaurs, and art plus field trips and Friday SPLASH parties, you are guaranteed not to be bored. Half-day (1 p.m.) and full day (3 p.m.) programs are available, with aftercare open until 4:30 p.m. All summer camp sessions are led by certified teachers who are SAFE checked and CPR/First Aid trained. Visit spma.com to download a brochure, and call (843) 785-2534 to sign up. Operating weekday mornings from mid-June through mid-August at Shelter Cove Marina and Beachfront at the Westin Resort, Outside Hilton Head camps are centered on fun and exploration of our local environment. Programs are designed to fit different ages and interests. One- and two-day camps at Shelter Cove Marina include kayaking, games and experiments for children over age 7. If your kids want to ride the waves, the beachfront Surf Camp program is safe and fun. Specially designed teen programs include tubing, paddle boarding and private island exploration. 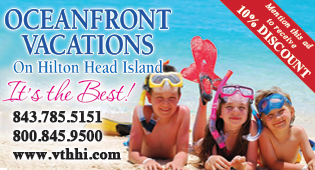 Call (800) 686-6996 today and speak with a reservations specialist who will pair your family with the ideal program. High-tech activities: Robotics, Coding, Google Maker Camp, Engineering, Girls-only Tech Club, Digital Photography Class, Academic and Educational resources:, Summer Reading program, College prep program, Fine and cultural art programs, Career and financial literacy program for teens. $350/child or $525/family of two or more. Scholarships are available on a limited basis and require proof of income. To learn more about how “Greatness Grows” at The Boys & Girls Club of Hilton Head Island, visit bgclowcountry.org and click Hilton Head Island or call (843) 689-3646. 8:30-11:30 a.m. Monday-Friday with the exceptions of July 4: POP! Goes the Sandbox event and July 20: Christmas in July event. Drop the kids off at the Art Café, Wednesdays 6:30-8:45 p.m. The fun includes pottery painting, yummy dinner, dessert decorating and games. The cost is $38 per child. All ages. 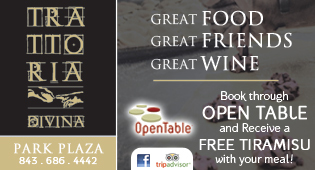 Call the Art Café for reservations (843) 785-5525. Kids Bowl Free program will run again this summer from May 1 to Sept 5. Kids Bowl two free games every day all summer long! Family passes are available. Register at KidsBowlFree.com/Station300.com. Free Family Movie Nights start in June. Have a fun evening watching your favorite movies on the projector screens behind the lanes on Thursday’s from 6-8 p.m. Beat the heat and celebrate Kids’ Birthday Parties all summer long in a dazzling, high-tech, 33,000-sq.-ft. entertainment center! Packages include two hours bowling with shoe rental, arcade, decorations, party host, cupcakes, sodas, invitations and more! Visit Station300Bluffton.com for more information.